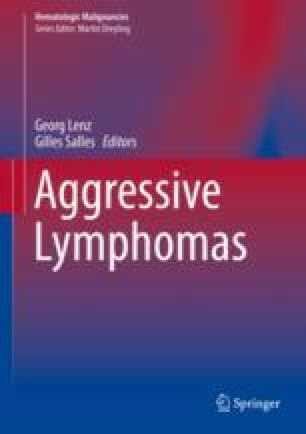 Primary CNS lymphoma (PCNSL), a very rare lymphoma subtype confined to the CNS at time of diagnosis, differs from systemic aggressive lymphoma in its low tendency to systemic dissemination, more aggressive course, and less satisfactory outcome. For diagnosis making, a biopsy of a lesion visualized by contrast-enhanced MRI is needed. The optimal treatment for PCNSL has not been established thus far due to paucity of adequately designed trials. High-dose methotrexate-based polychemotherapy is currently considered standard primary treatment for all PCNSL patients who can tolerate it. For consolidation, non-cross-resistant conventional chemotherapy or high-dose chemotherapy followed by stem cell transplantation is most frequently used. Whole-brain radiotherapy is no more routinely used at most centers due to increased risk of delayed CNS toxicity and the lack of overall survival prolongation after combined treatment. The role of intrathecal/intraventricular chemotherapy, optimal salvage treatment, and treatment of immunocompromised patients has not been defined thus far.